Im just wondering if anyone have made a portable power solution for the Organelle, like a power bank or something? I would really like to be able to bring it with me out in the nature and traveling. I have read some other posts but didnt find what i am asking for. Any ideas? Organelle with internal battery + speaker + microphone? 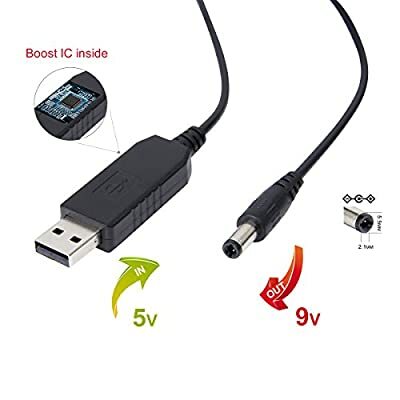 Rechargeable Power Supply: https://www.amazon.com/dp/B011BGPUSI/ref=pd_lpo_sbs_dp_ss_2?pf_rd_p=1944687522&pf_rd_s=lpo-top-stripe-1&pf_rd_t=201&pf_rd_i=B00P9U9ZXO&pf_rd_m=ATVPDKIKX0DER&pf_rd_r=4284K05FN6V5JR3NGW2N NOTE: We have not tried this one. Any external battery must supply a minimum of 1000mA and connect to the Organelle with a 2.1mm tip with center-positive polarity. If you do decide to try something like these out, please let us know how it goes! If either of these worked I would be very excited. One of the reasons I have not bought the Organelle already is its lack of portable power. It works! I got a rechargeable multi-voltage power bank online. Came with all of the adapters, luckily the basic cable is the right size and polarity. My organelle has been running all afternoon and only used 20% of the battery so far. Now I’m trying to find an old CD wallet that is big enough to house it all. This seems about right. The running draw is so low. I think that maybe 8 hours per 15% so basically, yeah. 64 hours is about accurate. I still haven’t drained the thing down yet. Working on a little carrying case to hold everything. BTW Cd wallets are the perfect dimension for the Organelle. How long does the 6 AA mouser adapter work for the Organelle? It depends on the mAh (milliAmp-hour) rating of the batteries you use. The Organelle draws around 500mA. Decent NiMH rechargeable batteries are probably rated around 2500mAh (or more). I would love to use my mophie Powerstation XL (12, 000 mAh). It says that it can switch between 500mah, 1a, and 2.1a charges, will that be OK for the Organelle? I would hate to fry it! That looks cool, but unfortunately the Organelle requires 9V, and this setup would only provide 5V. Thanks! Is that because of the battery pack or the USB converter? USB ports are 5V, so I assume that is what the USB ports on the battery pack is putting out. 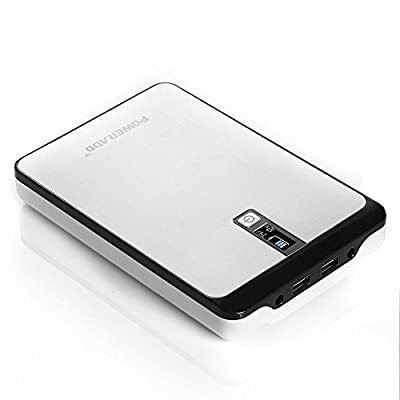 I use it with my RAVPower 23000mAh Power Bank and it works perfectly. I just got my Organelle yesterrday and feeling super stocked about it! I was wondering. This aa-adapter looks great, but what happens if the batteries get low? Could it damage the device? As everyone is really clear to not recommend a power supply that doesn’t give out 1A? What will happen if the batteries runs on low power? Another question. Whaft can happen if the device is not shut down properly? If it just looses power. The live enviroment can be a hectic place and sometimes something is unplugged without notice. Can the files on the sd-card get corrupted? Do I need to have a backup card and backup usb stick? Running the Organelle on batteries is possible, and it shouldn’t damage the hardware or SD memory, but we don’t officially recommend it for a couple reasons. Both of these have to do with the batteries running low. First, the Organelle will power off without shutting down. This shouldn’t damage the hardware (or SD card which is read only), but files could get corrupted on the USB drive. Many of the patches write files to the USB drive, so you want to make sure those processes finish before power is removed. The second issue we noticed happening is loud noise coming from the audio output when the batteries die (enough power to have the audio hardware powered up, but CPU powered down), which is not really workable in any kind of live setting! So it is possible, but only for experimental / use at your own risk scenarios. And maybe using a power bank with a battery indicator makes sense as well.